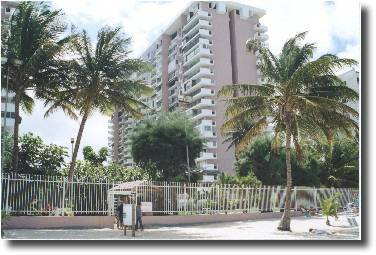 This beachside 1 bedroom, 1 bath condominium apartment is located in the West Tower of the Coral Beach Condominium complex in San Juan's Isla Verde district. It is right on Isla Verde Beach. This long and wide beach is excellent for walking and swimming, and also offers great watersports action. 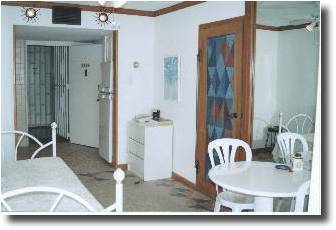 The apartment is tastefully decorated and furnished throughout with all amenities. It includes cable TV with VCR, air conditioning and ceiling fans. This 18th floor apartment offers two bedrooms and an oceanside balcony with great ocean and lagoon views. A 1 bedroom 1 bath apartment with fully equipped kitchen, Air conditioning, Cable TV w/VCR, Queen Size bed in master bedroom, and a day bed in the living room. All bed and bath linens, secure off-street parking, ocean side balcony, located in the popular Isla Verde district of San Juan, Puerto Rico.